ELEVEN of TT’s biggest energy companies have signed on to the TT Energy Chamber’s Energy Efficiency Declaration, giving their word to work towards reducing greenhouse gas (GHG) emissions. The agreement was announced on February 5, during the TT Energy Conference, which is hosted by the chamber. In a release, the chamber said it recognises the role of energy efficiency to the development of the TT economy, as well as reducing GHGs. The chamber said it hopes the ideals of the declaration will be “embraced and adopted by its membership and the wider nation.” “Energy efficiency measures and initiatives will be crucial for the initial reduction of GHGs. Getting the industry to best in class levels of efficiency is the equivalent of unlocking a marginal field’s worth of gas. While some options may be costlier than others, collaboration across the sector presents opportunities to reduce costs and identify opportunities,” the chamber said. The overall benefit to the economy will be improved reserves to production ratios, jobs, lower emissions and increased levels of foreign exchange. “The international community has identified improving energy efficiency as a crucial objective to meeting the dual challenges of increasing demand for energy and combating climate change. 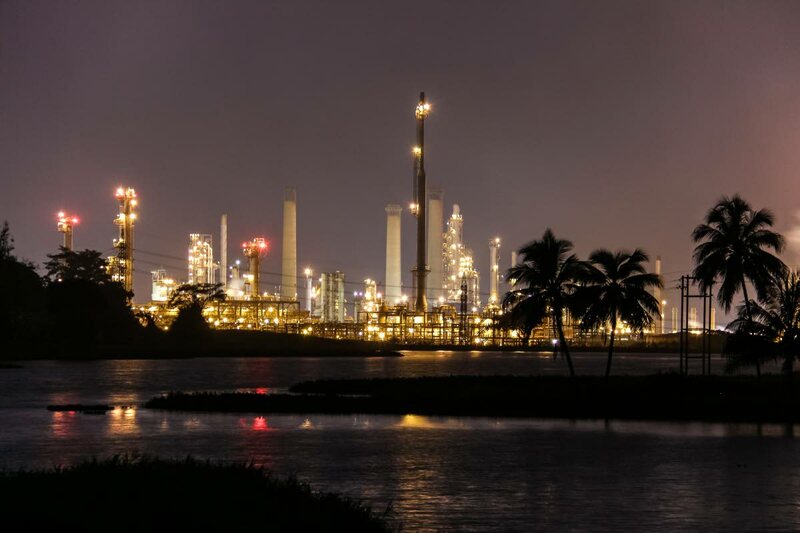 TT has been consistently ranked as having one of the highest levels of energy intensity in the world and being one of the highest greenhouse gas emitters per capita. Furthermore, over the past decade, TT has experienced significant shortfalls in gas availability for industry, resulting in negative impacts to the economy and contributing to the scarcity of foreign exchange. Recognising the positive impact that higher levels of energy efficiency can have on both the economy and the environment, we the leaders in the energy sector, commit to optimising the use of TT’s finite natural resources and to reducing greenhouse gas emissions through our activities. Facilities: By examining the integration of energy efficient technology, programmes and policies into existing operations. Natural gas utilisation, electricity generation and electricity consumption: By exploring and deploying opportunities to optimise the use of natural resources, raising the awareness of employees, contractors and partners and where applicable, examining the use of renewable and sustainable sources of energy. Transportation: Through further collaboration in aviation, land and marine transportation logistics and where applicable, the use of energy efficient technology. Work collaboratively with the Energy Chamber, other stakeholders in the sector and with the government and international community to ensure that the necessary policy and regulatory environment is in place to encourage investment in energy efficiency and other greenhouse gas reduction activities. Report annually to the Energy Chamber on the actions that we have taken to improve energy efficiency and decrease greenhouse gas emissions from our companies’ activities. Reply to "Energy firms vow to be energy efficient"